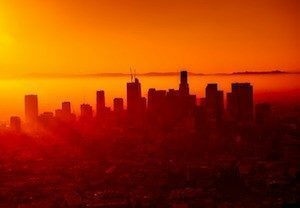 In a groundbreaking decision, the Los Angeles Department of Water and Power (LADWP), the largest municipal utility in the U.S., recently granted to CollectiveSun the right to market its proprietary Solar Power Agreement (SPA) in the LADWP service area. CollectiveSun is the only solar funding organization that exclusively serves nonprofit and other tax-exempt organizations. The Los Angeles utility doesn’t permit the sale of solar power purchase agreements within its service area. The crucial distinction between PPAs and SPAs that allowed the LADWP to approve the latter is that while PPAs are agreements to purchase power as a service, SPAs are leases with a deposit feature. (CollectiveSun’s agreements also don’t have so-called “escalators”: graduated increases in the rate, which are common in PPA contracts.) The LADWP’s decision — which coincides with a new California law making solar systems mandatory on new buildings — represents a significant solar energy milestone for both nonprofits and solar installers in the state. The ruling also has positive repercussions for members of these two groups outside California. A nonprofit wishing to install a solar system of 50 kW or larger contacts CollectiveSun. (The company can use its partnerships with EnergySage or Pick My Solar to help the organization find an installer if it has not already selected one.) The nonprofit then obtain an estimate from its chosen installer and, after receiving CollectiveSun’s free proposal, enters into a SPA agreement with the company. The SPA requires the nonprofit to fund only 85 percent of the total price of the system, as the remaining 15 percent will be paid by CollectiveSun. CollectiveSun also provides assistance to the nonprofit through anyone, or a combination, of five funding methods, including its proprietary CrowdLending campaign model. With CrowdLending, the nonprofit asks community members for loans rather than donations, for which they receive annual principal and interest payments. Note: interest rates for these loans are set by the nonprofit, not CollectiveSun, and are generally in the range of 4 to 5 percent, but can be anywhere between 0 to 8 percent. The nonprofit’s 85 percent deposit to the fund is considered a loan. Each month, instead of receiving a payment from the nonprofit, the company simply reduces the loan balance by a set amount. CollectiveSun assumes full responsibility for the operation and maintenance costs of the system during the period it owns the system. At the end of the six years, the nonprofit can elect to own the system, including all warranties, at no additional cost. The LADWP’s decision is a game-changer not just for California nonprofits, but for solar installers as well. Installers have long recognized nonprofits as a very promising market for solar, but have been frustrated by these organizations’ ineligibility for the federal tax credit, as well as by other difficulties frequently encountered by them in financing solar. But because CollectiveSun helps nonprofits overcome all these hurdles, installers that partner with CollectiveSun can now gain a whole new client base and a new vertical customer tier. The utility’s ruling may well have a positive impact on nonprofits and installers outside California as well. For other regions of the country, particularly those in which PPAs are also not permitted, CollectiveSun, a nationwide company, is available to help nonprofits save on energy. To faith-based organizations, in particular, CollectiveSun offers a unique double advantage. Because of its “15 percent coupon,” as well as CrowdLending and other financing options, the company can assist these organizations in their goal of maximizing fiscal prudence. Just as importantly, it can help them exercise responsible environmental stewardship, consistent with the Creation Care aspect of their missions. The religious coalition Interfaith Power and Light, which was founded as a response to the climate change crisis, has worked extensively with the company and has mentioned it in its literature. For installers nationwide that choose to work with CollectiveSun, the company can help provide them with a whole new revenue stream. It should also be noted that nonprofits — particularly faith-based ones — are perceived as community thought leaders. When they publicly embrace solar power, it helps boost the overall demand for solar in their communities. They can also serve as a source of referrals. In the story of the rise of solar power in the U.S., nonprofit organizations have historically been marginalized. LADWP’s decision to support nonprofit solar may well reverse this trend, empowering nonprofits on their path to clean, low-cost energy.